We are approaching Easter holiday and most probably people who will be travelling during these days, are already planning where to head. What we suggest is to go to a place where you can experience many traditions combining both the typical celebrations of the Easter Week and as well a mild climate and plenty of sunshine, to start getting a sun tan … And the destination is … Malaga on the Costa del Sol! 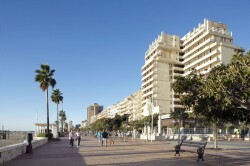 Those of you who have never been to the Costa del Sol at this time of the year are lucky because a pleasant weather is the dominant note, inviting for strolls along the promenades and even maybe a first sun bath, enjoying hiking and sports. For example, golf, since this is a region of choice for golf tourism, with excellent golf courses. 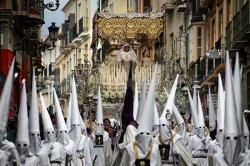 If you decide to stay on vacation in Malaga city, you might find interesting to know that there are taking place Easter processions from Friday March 22 throughout downtown. On Sunday March 24th is a big day, Palm Sunday, and you can make an excellent route through Malaga for a closer look at some of the most popular processions of the famous Holy Week of Malaga. The following days, there are processions every day and a great atmosphere in the streets, with thousands of devotees. Also, in the capital of the Costa del Sol you may bump into some celebrity of Malaga who each year returns to his home town to enjoy the festivities, as for instance Antonio Banderas accompanied by his wife Melanie Griffith. 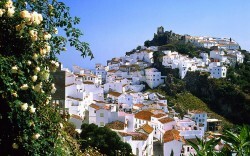 Another option is to enjoy a tour of the white villages of Malaga. Get to know the more traditional Andalucia discovering beautiful municipalities and villages like Antequera, Archidona, Ronda, Colmenar, Casabermeja, Mijas, Monda or Velez-Malaga. There are a thousand and one destinations you can go to and great places to visit during your Easter holidays in Malaga on the Costa del Sol.